Miri – 26 October 2015 – A team of chemical engineering students from Curtin University, Sarawak Malaysia (Curtin Sarawak) has won the 2015 APAC-EMEA (Asia Pacific, Europe, Middle East and Africa) Honeywell UniSim Design Challenge. This year’s winning entry was “Retrofitting of the natural gas liquid (NGL) fractionation trains using a modified self-heat recuperative (MSHR) process to improve the overall energy efficiency of gas processing plant (GPP)” by final-year chemical engineering students students Ren Jie Lee, Shih Chiang Lim, Tze Mun Sam, Ying Ting Loo and their supervisor, senior lecturer of chemical engineering Dr Mesfin Getu Woldetensay. 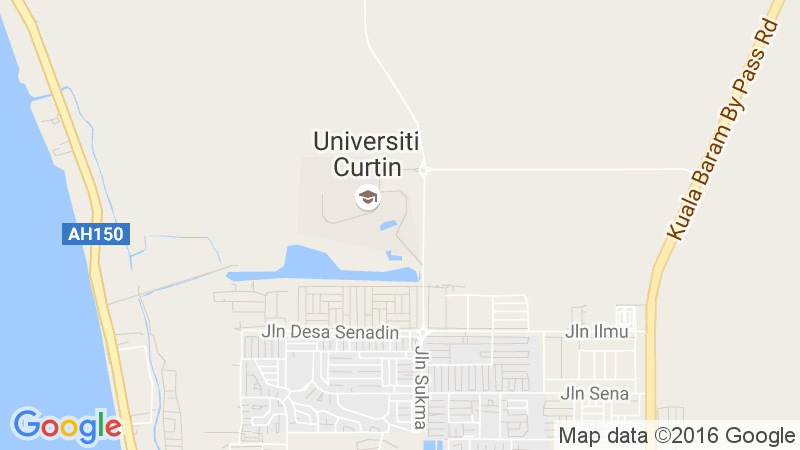 The team was congratulated by the Vice-Chancellor of Curtin University in Perth, Professor Deborah Terry, in her weekly note to staff, as well as by Pro Vice-Chancellor of Curtin Sarawak, Professor Jim Mienczakowski who said it was a great achievement for Curtin’s Malaysian campus. The team will be heading to Madrid, Spain for the award ceremony at this year’s Honeywell Users Group EMEA Conference on 17 November 2015. Students from Curtin Sarawak also excelled in the challenge last year, topping the Asia-Pacific region, the first time a Malaysian team and a group entry had done so. According to Dr Mesfin, the students’ motivation and passion to accomplish each phase of the project on time contributed to their winning the prestigious international award. “All four students are now in their final year and will be graduating soon. This achievement on the international stage will certainly inspire them to continue contributing great ideas and solutions in their future careers,” he said. He added that it is vital that students are given the chance to apply what they learn in the classroom to real-world scenarios and business challenges before entering the workforce. The Honeywell UniSim Design Challenge is a student competition organised by Honeywell and Student Competitions. It nurtures and promotes talent in the process manufacturing industry among students from higher learning institutions in Europe, Africa, the Americas and Asia. The competition requires students to use Honeywell’s UniSim Design Suite software, used by engineers around the world to create steady-state and dynamic models for plant design, performance monitoring, troubleshooting, operational improvement, business planning, and asset management. It is also used to improve plant production and safety through offline operator training simulations. Their submissions must demonstrate creativity and innovation, and detail the benefits to be derived from their solutions. Honeywell is a global technology leader with business interests in aerospace, automation and control solutions, performance materials and technologies and transportation systems. Student Competitions is a website that list all the world’s most important student competitions, student conferences and other global opportunities dedicated to helping companies, universities and governments attract global talents through competitions. (L–R) Lee, Sam, Dr Mesfin, Loo and Lim – proud winners of the 2015 Honeywell UniSim Design Challenge for the Asia Pacific and EMEA regions.